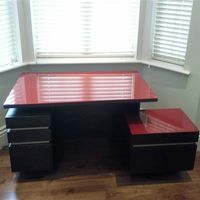 With our ability to produce glass furniture in-house we can create a number of varying types of tables, such as coffee tables, bedside tables, lamp tables, magazine stand tables and many more. All products are tailored to your specific requirements, including but not limited to: shape, size and colour. At our Tolworth workshop we can produce, shape and create glass to either create a table in full or be used as a table top. 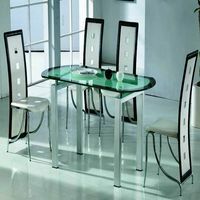 The glass can be enhanced upon by a number of processing manners such as beveling, shaping, tinting, colouring and many more. 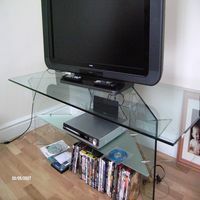 Home entertainment units are a common feature within any modern home, providing the perfect positioning for your television, whilst offering ideal placement for DVD, consoles, VHS, Hi-Fi and any other home entertainment related items. 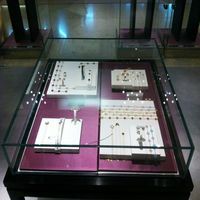 We produce beautiful display and showcase units for use within many commercial venues, such as jewelers, exhibition halls and museums. Due to the custom nature of these products, it is best to call or email in with your requirements for a reasonable idea of the cost. 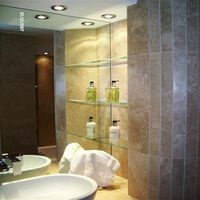 We produce luxury shelving to fit all purposes, using either mirror or glass and utlising either a polished or finished edge. 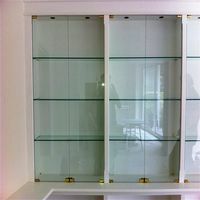 Glass shelves will typically be produced in either 6 or 10mm thickness but can be made with even thicker glass if required, a variety or styling options are also available. We have at times been asked to make a variety of shelving and cabinet units for both commercial and domestic clients. These are made in house and can be styled to suit any requirement, with a wide variety of fixing options as well, contact us for further information. 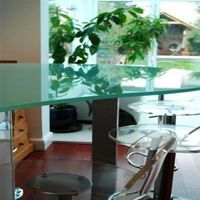 We offer a wide variety of furniture protection, using glass, very much in the same fashion as Splashbacks. As with Splashbacks, these furniture coverings are available in a variety of colour, styling and safety options. 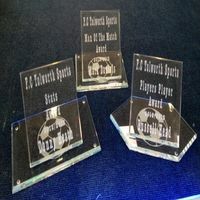 Miscellaneous items covers a wide variety of products we are able to produce for our customers, but these will typically be items such as award trophies, very custom mirrors, furniture and many more, but typically requiring extensive design features. 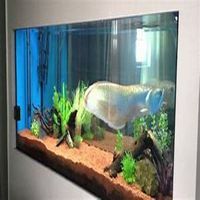 As we produce all of our glass products in house and to the spec required by the customer, an additional item we have, at times been asked to produce, has been fish tanks. Again, these are custom made and therefore any interest in these, should be discussed in-house.